In this day and age so many magazines are dedicated to the generic pop artists you hear daily on the radio. Magazines littered with pictures of Miley Cyrus and Beyoncé, advertising the latest breakup or recording studio feud. Teens everywhere pick up these magazines daily and read to their hearts' delight. But what about the kids who don’t listen to Maroon 5? The kids who don’t care about the latest drama? Those kids always exist: the kids that walk through the school hallways, their ear buds blasting Fallout Boy, Dance Gavin Dance, Avenged Sevenfold, Good Charlotte. The alternative kids. Magazines for the outcast teens can be fairly hard to find, although they do exist. One of the largest alternative music magazines available is Alternative Pressopens a new window Magazine (APM). APM has been around for over 30 years, and it hasn’t been around that long for no reason. Featuring interviews from popular artists such as Fallout Boy, My Chemical Romance, Black Veil Brides, Mayday Parade, Blink 182, and Sleeping With Sirens. Along with information about up-and-coming artists, it has all the news you need about the alternative music scene. 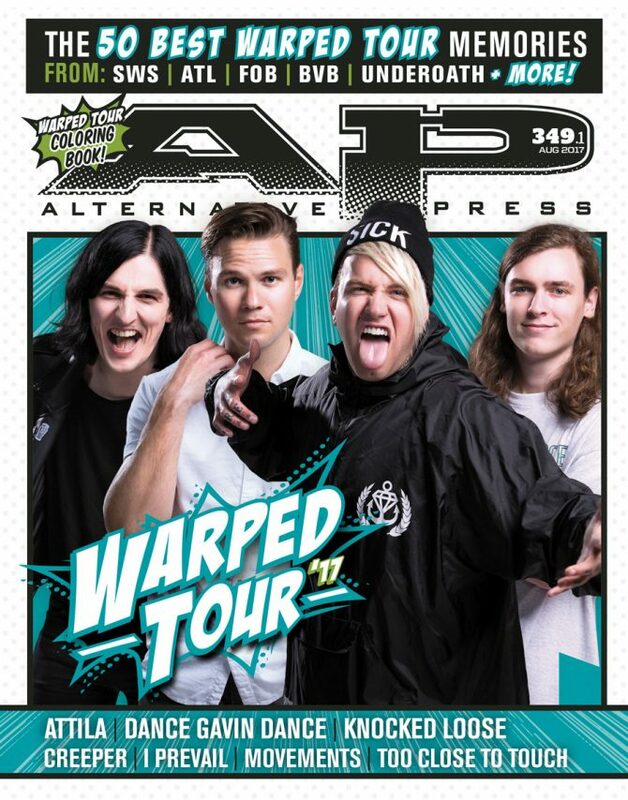 Each issue puts a certain artist or event (Warped Tour, The Alternative Press Music Awards, etc.) in the spotlight and includes special interviews and posters, as well as colouring pages on the occasion. Music recommendations and band reviews are littered throughout every edition, meaning that every reader is exposed to new musicians they might not have heard of before. Pages promoting new music are also included, giving musicians amore awareness. It’s sort of like a win-win for readers and musicians alike. While the magazine mainly focuses on interviews with musicians, it does include little sections dedicated to the alternative “lifestyle”. Each magazine usually includes a few pages dedicated to clothes, jewelry, shoes, and on the occasions guitars or a comic strip. The only minor complaint I have with APM is the inconsistency of content in their magazines. Some issues will have a dozen posters, while as other issues will maybe have four. Some issues will have a comic and a list of album recommendations by your favourite artists, others will not. It maybe that the magazine does that to try and shake things up, but I feel as though if they want to include those parts, they should consistently include them. I hope you enjoyed this review and that it possibly gave you new literature and media to check out!